The history of the Middle East shows a colourful succession of languages, cultures and religions. This means that, much like a snake, the scholarly tradition donned a new skin time and again. In the first century CE the Hellenistic scholar Dioscorides from Asia Minor gathered all extant knowledge of medicinal plants and animal products in a Greek work that we know under the title Materia Medica. In the ninth century the language of culture in the Middle East was no longer Greek but Arabic. 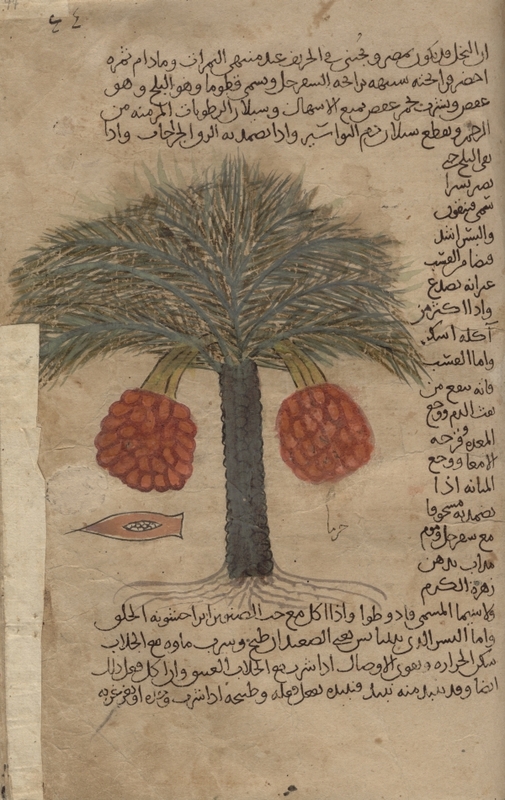 In Baghdad, a certain Stephanus translated the Materia Medica into Arabic. The quality of his work was checked by Hunayn ibn Ishaq, a Christian and physician-in-ordinary to the caliph al-Mutawakkil. At the end of the tenth century the Arabic text was revised in Samarkand, and this is the version we preserve in Leiden University Library. The manuscript Or. 289 was copied in 1083 CE. It is richly illustrated with schematic drawings of plants and, to a lesser extent, animals. In the seventeenth century it was acquired in Turkey by the Dutch diplomat and manuscript collector Levinus Warner, who bequeathed it to Leiden University. The learning of Dioscorides also found its way to the West through Latin translations and adaptations. A beautiful example of this Western tradition is the Leiden manuscript VLQ 9.